Amazon Rekognition allows you to detect objects and scene details from images. It provides a stateless and secure API that simply returns a list of related labels, with a certain confidence level. In order to automate the labels extraction process, we will build a serverless system that runs object detection on every image uploaded to S3. We will use AWS Lambda for the processing logic and save the results on a DynamoDB table. We will see how to setup S3, DynamoDB, and AWS Lambda to automate the whole process. During this Laboratory, we will also discuss its API details, optional parameters, best practices, etc. 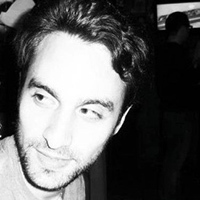 Alex is an Italian Software Engineer with a great passion for web technologies and music. He spent the last 5 years building web products and deepening his knowledge on full stack web development and software design, with a main focus on frontend and UX. Despite being a passionate coder, Alex worked hard on his software and sound engineering background, which provides him the tools to deal with multimedia, signal processing, machine learning, AI and many interesting topics related to math and data science. Indeed, he had the opportunity to study and live in a very young and motivating environment in Bologna and Milan, two of the biggest and oldest Italian Universities. These experiences lead him to work on several projects involving robotics, machine intelligence, music semantic analysis and modern web development. Alex is currently a Senior Software Engineer at Cloud Academy, a position that gave him the possibility to discover the Cloud world and exploit its potential as a web developer and data scientist.